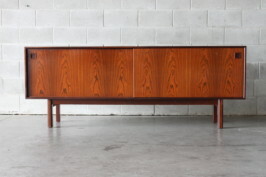 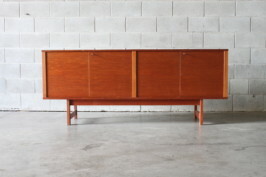 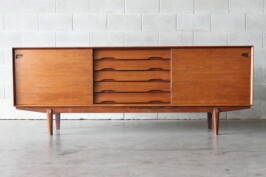 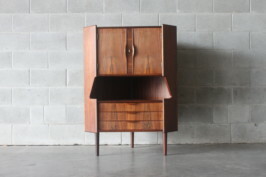 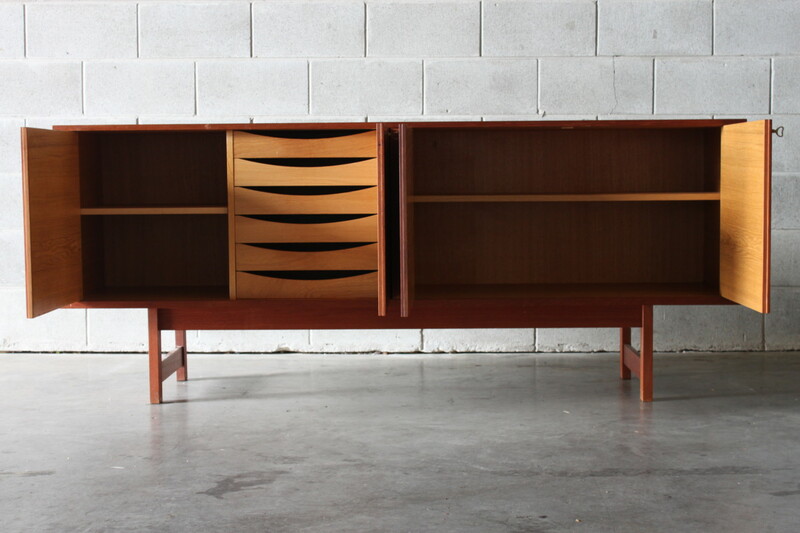 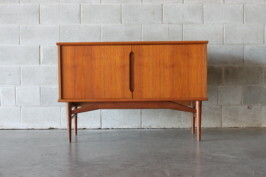 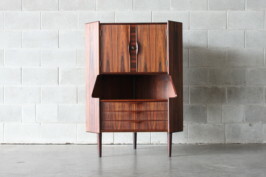 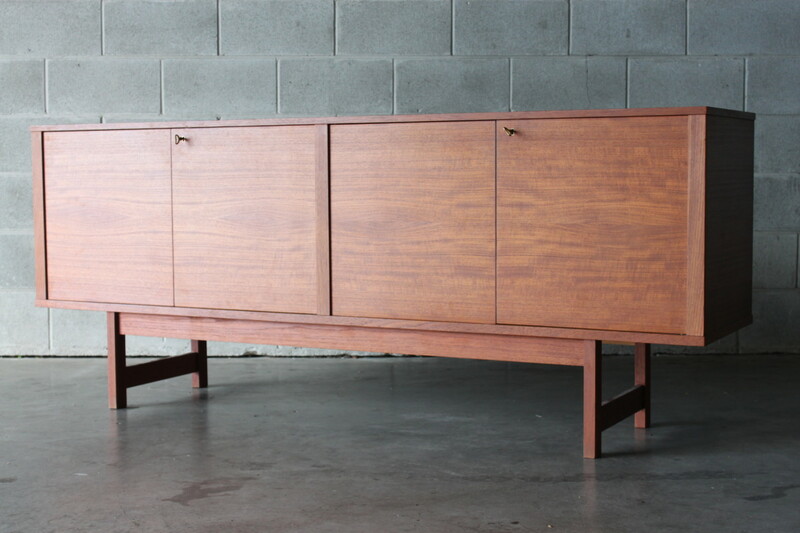 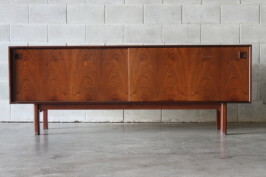 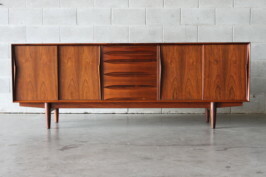 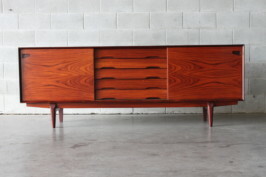 A lovely Danish sideboard made of warm glowing teak. 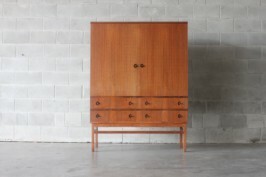 It has a pair of double door cupboards with two original keys and nice horizontal book matched grain to the door fronts. 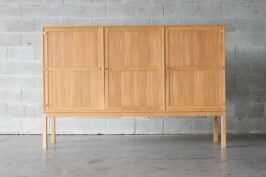 Internally is lined with oak and there is a bank of drawers to the left hand cupboard and adjustable shelving to the right hand side. 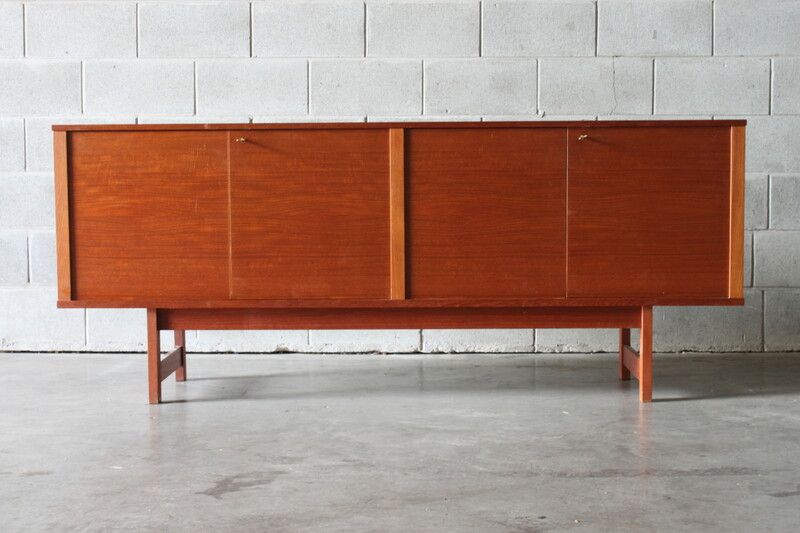 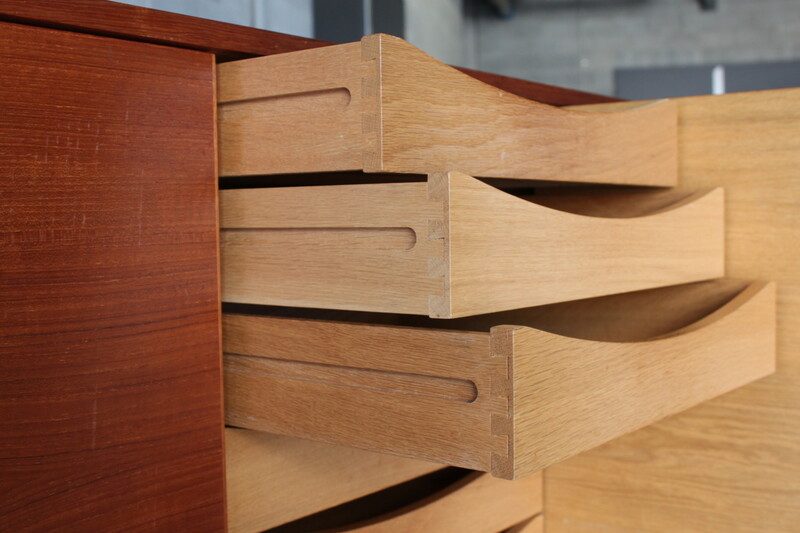 This is a nice minimalist sideboard which will work well with contemporary spaces.